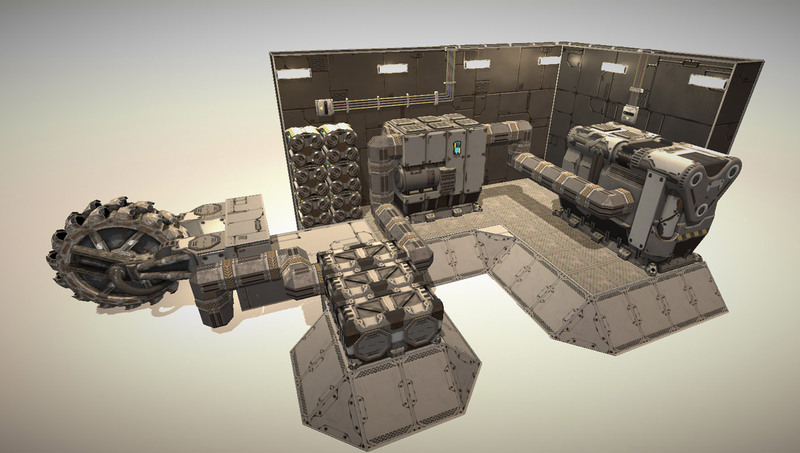 In the previous blog post we showed an example of how multifunctional mobile home could look like. We touched the subject of drilling, generators and power distribution, today we're gonna have a closer look into those mechanics. Drilling and storing raw material. Feeding the refinery. 3D printing final building blocks. 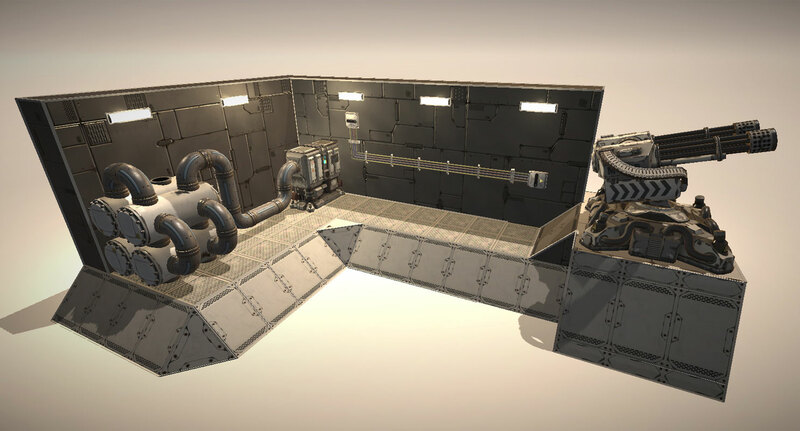 In the first picture below you can see a model connection of the tools and machinery you will need to start creating building blocks. In our model, raw material comes from the excavator head through conveyor system into storage container, which then continues to the refinery and then straight into the 3D printer for creating final building blocks. Now the keyword here is "model". You could take a completely different route. 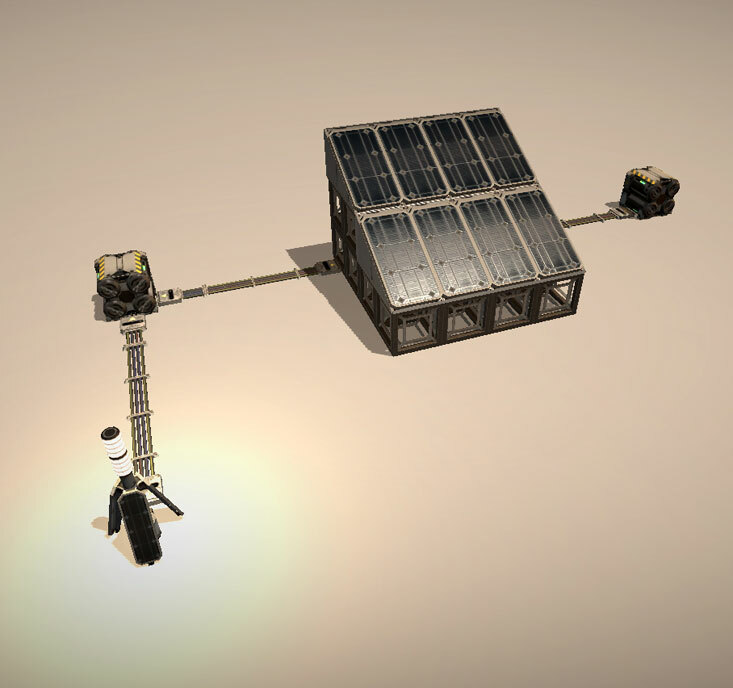 Like creating a simple harvester, with only storage container, and transporting the raw material back to your base for further processing. And in case you're wondering... yes, you could even build kilometers of pipelines from the mining site straight to your base. Right now we have generators working on yet-to-be-decided fuels (become the Advisor and help us with that! 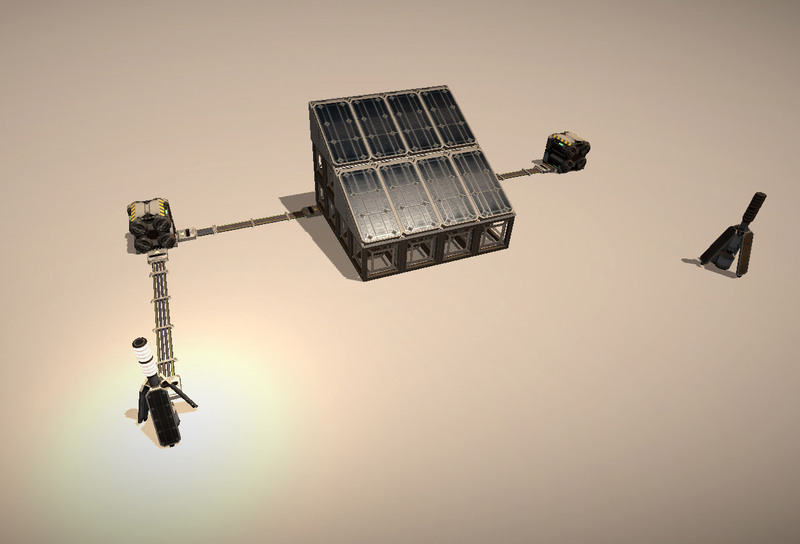 ), solar panels and batteries. 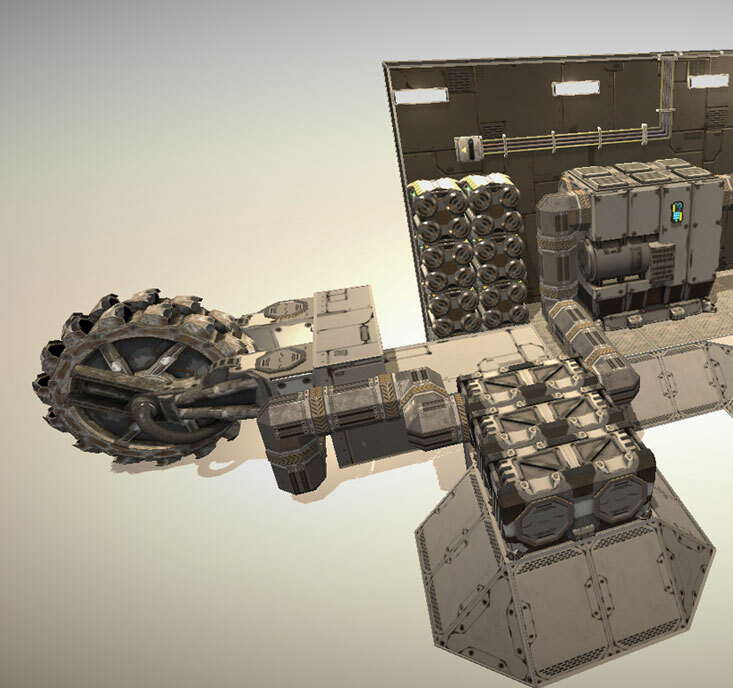 These provide energy for every functional blocks - drive wheels, lights, gun systems, doors, drills, etc. Energy must be distributed to the vicinity of those blocks - through wiring and a switchboard. To make things a little easier each generator and battery have a power radius on and of themselves, so if you place functional blocks nearby, that will also work. 1) A battery powered, model connection of Drill > Container > Refinery > 3D Printer. 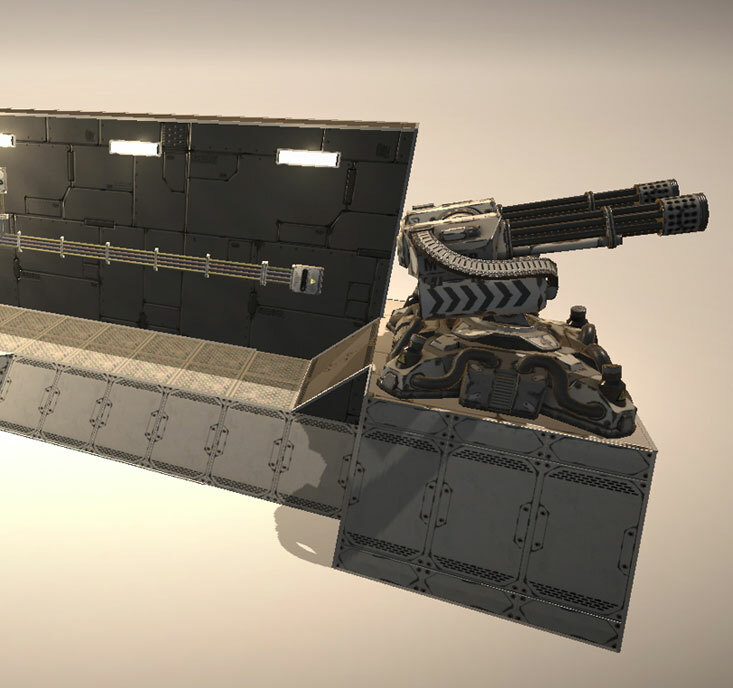 3) Fuel containers feed the generator making the minigun turret online and deadly!